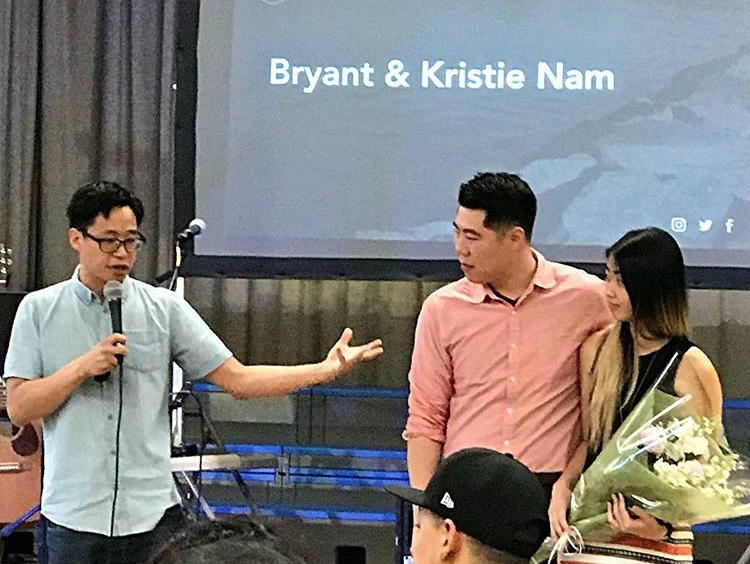 Bryant and Kristie Nam faithfully served at our church for nearly two years. During Bryant’s time as our Associate Pastor, he helped launch and oversee numerous Home Groups, conducted our first baptism, established our Sunday Connections Team, and preached on many occasions. Their time with us was truly one to be celebrated, and on June 24th, we as a congregation blessed and sent them off to Hope Brooklyn with a prayer! In the summer of 2018, we saw our community step up and band together on many occasions. 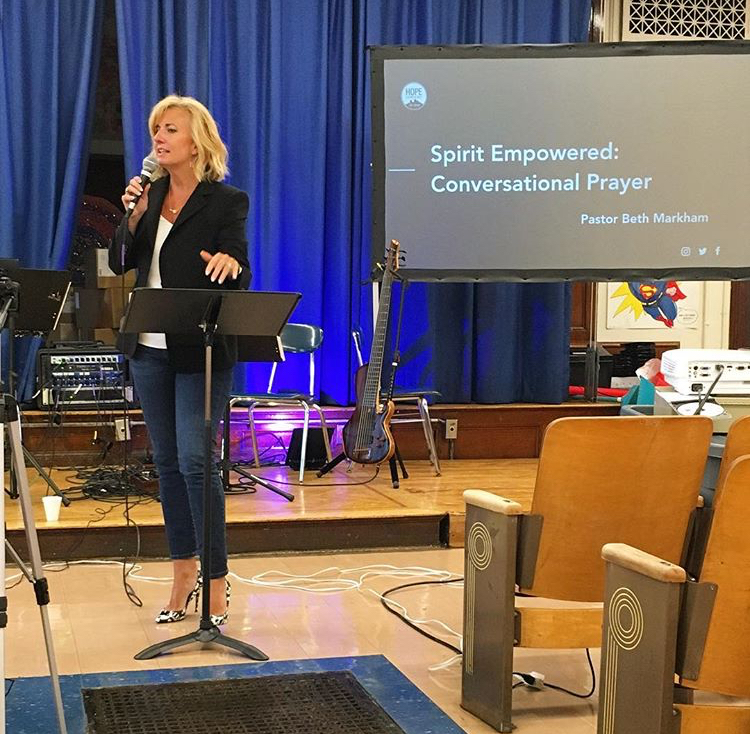 On Saturday, June 8th, we had a Women’s Tea Party where some of our sisters gathered for fellowship and prayer (with the guest speaker being none other than the totally awesome, Beth Markham - but more on this later). We also started new Home Groups. On Sunday, August 5th, we encouraged our congregation to fellowship with one another as an act of our worship to God. Also, in the summer of 2018, our Softball Team came together through the leadership of Tae Park and James Woo and finished first place in the regular season of the New York Christian Softball League, ultimately going on to win the championship on August 26th! The team would also win the Hope Church NYC Softball Tournament on September 22nd! More important than the winning, it was a great opportunity to plug people into our community and grow closer with one another. In addition to building community, 2018 was a year of sending. As mentioned before, we sent Bryant and Kristie to Brooklyn. But we also prayerfully sent out our first short-term overseas missions team (David Hyun, Luis Diaz, Joanna Oh, Diane Lee and Sam Hwang) to Thailand on August 27th. The Sunday prior to the sendoff, we ran a missions fundraiser in the cafeteria (the missions team prepared and cooked burrito bowls for our monthly meal!) with the goal of raising $600.00. Instead, we raised a grand total of $1,772.00 together as a community! 2018 was also the first time we ran a church-wide missional community as we partnered with Life Rice to feed families in need in Haiti. On April 29th, we packed 8,000 packages (each package can feed up to six people) of rice to ship overseas. This exceeded our goal of 7,000 by 1,000 packages! Iris Pagano gave her heart to the Lord! After she shared with the congregation her heartfelt testimony, we celebrated her conversion through baptism, an outward celebration to symbolize her union with Christ. This symbolic act was done through submerging her under water to signify the cleansing of her sins through our Lord and savior Jesus Christ. We also had the privilege of dedicating four precious infants, Lucy Jung (June 17), Samuel Boggess (September 30), Riley Kim (October 28), and Claire Bankston (November 18). 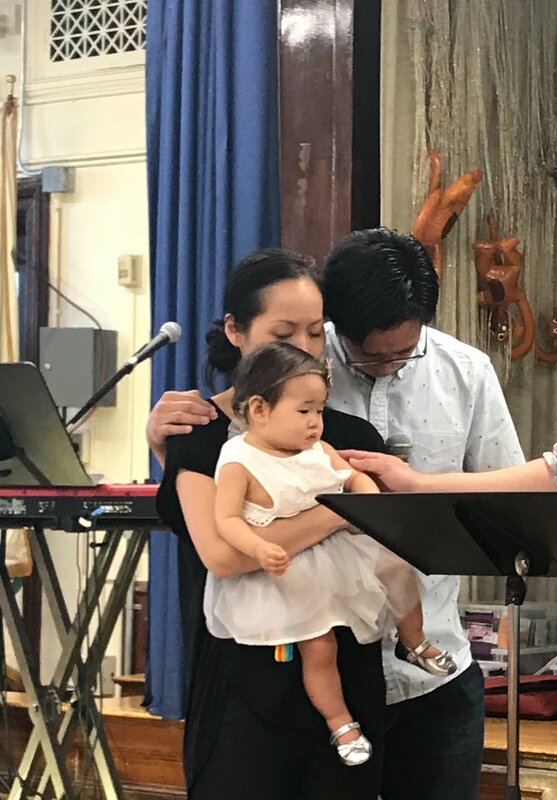 It was a year of literal new beginnings and celebrations, as we welcomed Samuel Boggess, Emily Sung, Jaemin Lim, Carson Ma, and Evelyn Cruz into this world! We also celebrated the union of Sean Yoo and Erica An! We saw an increase in attendance as we are now currently averaging 121 adults and 28 youth/kids/infants at our Sunday gatherings (with our highest attendance being 176 combined). One of the highlights has been the increase in our families and the development of our parents with kids programs (as well as a new youth program). A large reason for this has been due to the faithful work of our Kids and Families Directors this past year, Noelle Dunbar and Rose Berberabe. We saw the growth and development of new leaders in 2018. 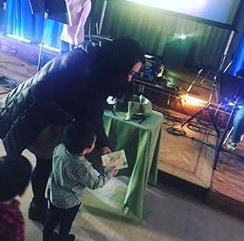 Minji Lee and Jae Kim stepped up to lead brand new Home Groups. David Hyun led our first short-term missions trip. James Kim took on the role of our Worship Director, Brian Choi took on the role of leading our Sunday Connections Team, and Daniel Yu now heads our Basketball Team. In addition to all those who have already been faithfully serving our community, we’ve also seen many new volunteers step up to help with our Connections Team, Kids/Tots/Youth programs, setup and breakdown, and Worship Team. You are the heroes of Hope East Queens! On Sunday, November 18, we expressed our gratitude to the Lord in four different ways: 1) We wrote down what we were thankful for and brought it before the Lord during our worship service; 2) We spent time in fellowship with one another over our annual Thanksgiving Sunday meal; 3) We wrapped gifts and supplies to send to children in need, and; 4) We posted what we were #GratefulFor over social media. In the winter, we entered into our season of Advent as we lit the four candles in our service (one for each Sunday of Advent) to remember the coming of our Lord and Savior Jesus into this world. We kicked off this joyful season of celebration through our annual Christmas Potluck get together on December 8th. On December 24th, we held our first ever Christmas Eve Candlelight Worship Service. We are grateful for all those who gave this past year! Our 2018 Total Annual Giving was $225,101.28. In addition, we received generous grants of $25,000.00 from the New City Network, $24,000.00 from Redeemer City to City, and $50,000.00 from the Foursquare Church, giving us a total annual revenue of $324,101.28. The total expenses for 2018 came out to $290,216.31. Of that amount $165,649.60 went into personnel (two full time pastors including benefits and pastoral ministry expenses, one part time children’s director, one part time worship director, and one part time facilities coordinator); $62,603.60 went into local and global missions giving; $23,819.55 went into the cost of facility rental (Sunday and our office); $16,625.92 went into ministry expenses, $9,418.83 went into administrative costs, $7,207.48 went into Sunday Service operations needs, and $4,411.95 went into equipment purchases. It has been a tremendous joy to work with our Leadership Team and experience God moving in our community! I love this church, and I believe that is the primary reason God has called us Christians to build our community, in order for us to love it. We are called to love, not because our community is perfect (it certainly is not), not because it doesn’t have its challenges (it most definitely does), but because God has first loved us. I pray that 2019 will be another year filled with His love!